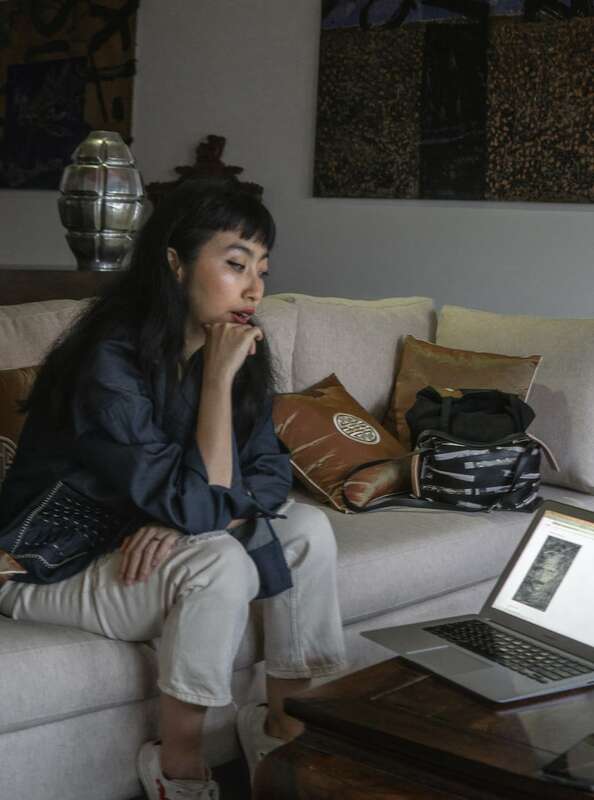 “There are almost 500 contemporary Vietnamese artworks in the Post Vidai Collection,” Arlette Quynh-Anh Tran explains from the sofa of Saigon Domaine’s library where some of the collection is kept. Arlette has been director of the Post Vidai Collection, which has been steadily growing since 1994, for the last two years. She is also an independent curator and a member of the Art Labor Collective. “There aren’t too many artworks to show you here,” she apologizes about the collection that is mostly stored in Geneva. “But that’s probably a good thing as this area often floods,” she adds looking at the swollen river outside than winds around Ho Chi Minh City’s Thanh Da island. Arlette Quynh-Anh Tran’s first responsibility was to inventorize the artworks that make up the Post Vidai Collection. “We had to find out what exactly we have,” she nods. Post Vidai’s three founders have all added pieces to the collection over the last 24 years. “And what’s interesting is that they all have different preferences about the kind of art they like,” Arlette explains about Daniel Howald, Tran Thanh Ha, and Olivier Mourgue d’Algue. 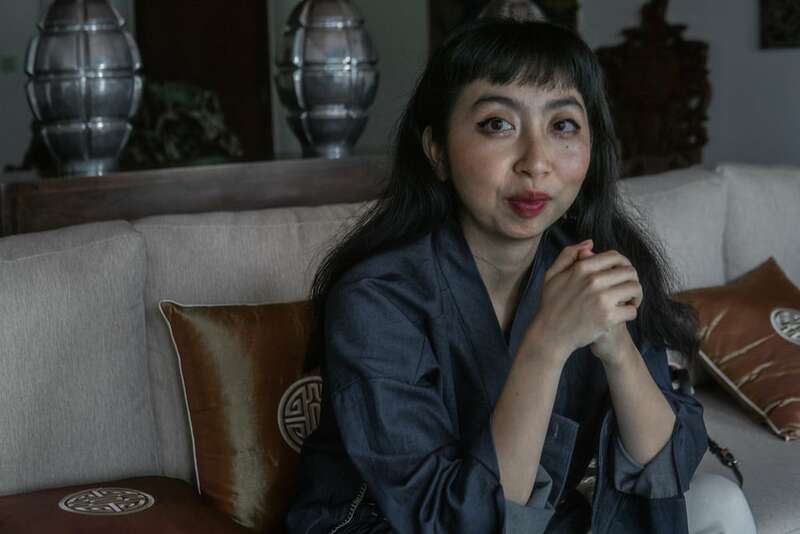 Outside of Vietnam, collectors and critics expect Vietnamese art to be obsessed with issues of censorship and its government, “but the artworks in the collection often look beyond those restricted themes towards more global issues,” Arlette adds. And although internationally, many significant collections maintain an inconspicuous online presence because the owners are concerned about issues like copyright the Post Vidai Collection is much more visible. “Because it’s physically spread out, our website is really the portal to the collection,” Arlette explains. There, besides an inventory of the artworks and video interviews with artists, they showcase new acquisitions and news about the artists they collect—like Phan Thao Nguyen winning the Signature Art Prize. Post Vidai’s director, Arlette Quynh-Anh Tran on the steps outside Saigon Domaine that lead down to the river that wraps around Thanh Da island. With its artworks inventorized, Arlette and the Post Vidai Collection team have embarked on a series of events to raise awareness about the collection. There was a recent photographic exhibition, also at Saigon Domaine, called “The picture will still exist,” and they will publish two books next year. 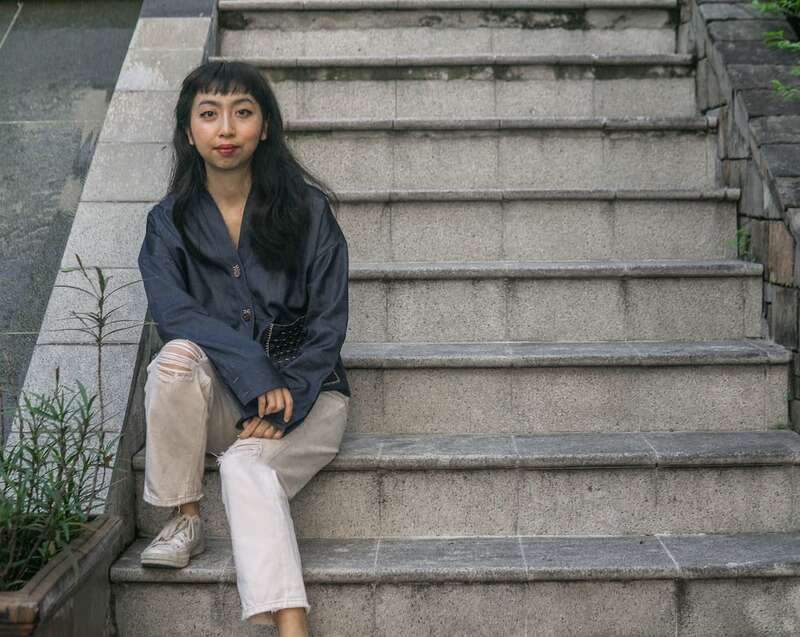 But before then, we sat down with Arlette Quynh-Anh Tran to ask her to select seven key works from the sprawling collection. From a distance the images that make up Nguyễn Phương Linh’s series look like clouds, but upon closer inspection reveal themselves to be plumes of dust and smoke. 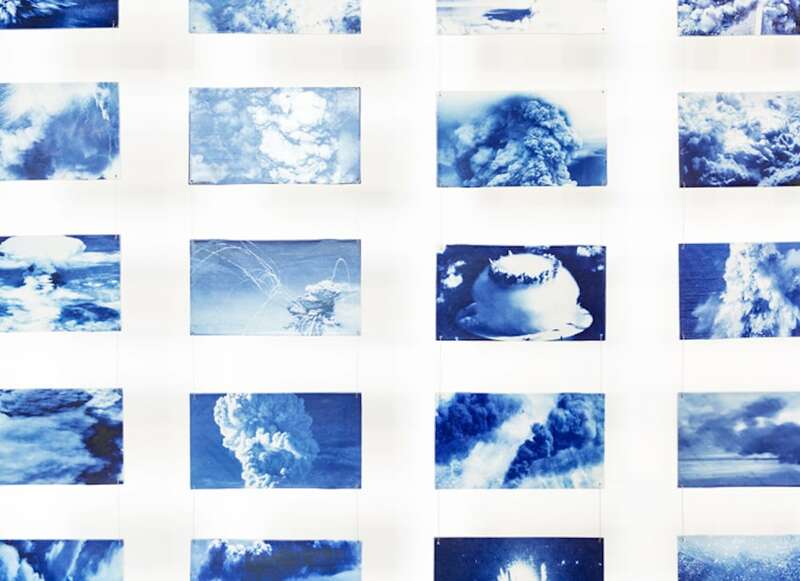 The explosions have also been cropped so the viewer cannot see the context in which they’re taking place and “their repetitiveness, because they’re placed together, almost normalizes their violence,” Arlette adds. Dinh Q. Le was born in 1968 in Ha Tien—a town near Vietnam’s border with Cambodia. After he left his home country with his family bound for the west coast of America, he went on to study photography at the University of California. Since then, besides a series of acclaimed solo shows often featuring his tapestries of photographs, he co-founded San Art in 2007. With him co-founding the Saigon-based non-profit art organization were two other artists, or arts collectives, in Arlette’s selection of works from the Post Vidai Collection, The Propeller Group and Tiffany Chung. 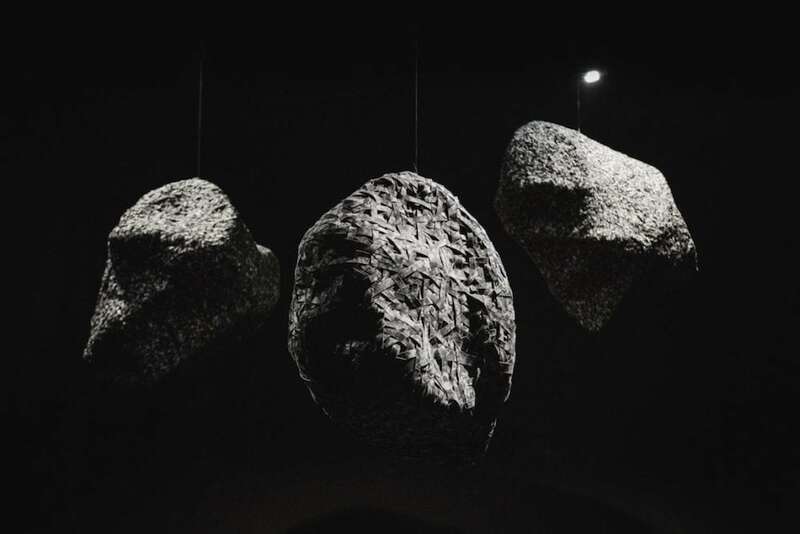 The three objects in “Adrift in Darkness.” look like rocks, but they are really three-dimensional objects crafted from bamboo and news clippings about the refugee crisis. 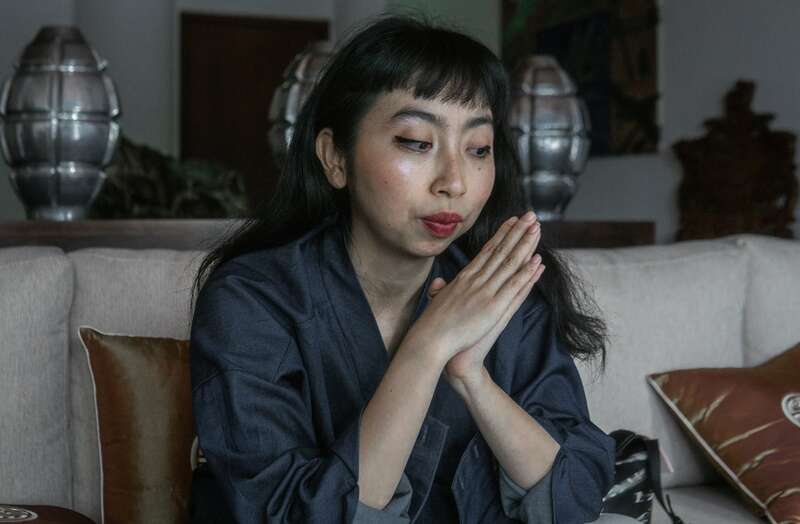 The Hanoi-born artist, who has lived and worked between Vietnam’s capital and Paris, studied—and later lectured—at Hanoi Fine Arts University. His softly subversive work is often darkly comical like “Hidden Beauty” that resembles a giant diaper made out of uniform pockets. “But Trương Tân’s ‘The Wedding Dress’ dwells on questions of gender and identity,” Arlette Quynh-Anh Tran explains about her next choice from the Post Vidai Collection. Although Trương Tân often exolores his own identity, “The Wedding Dress” looks at society’s oppression of women. Trương Tân has repeatedly explored his own identity in works like the ink drawings of male figures that make up his “Being Human” series. In “The Wedding Dress,” the artwork symbolizes a precious moment in women’s lives, while hinting at the burden of responsibility that comes with it, “particularly in the Confucian-dominated society in the north of Vietnam,” Arlette Quynh-Anh Tran elaborates. 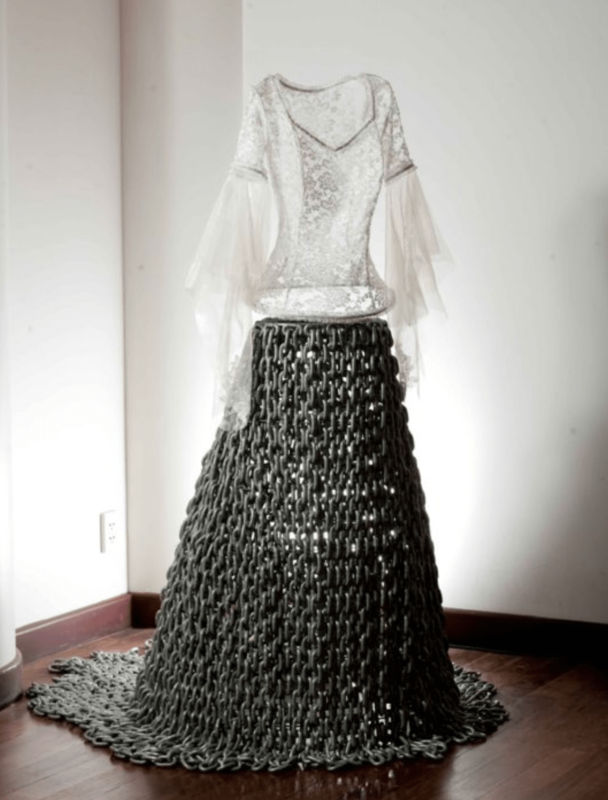 The work also juxtaposes different materials—the skirt is made of iron chains while the bodice is made of feathers. “The struggle to maintain the beautiful public image of a happy marriage while confined to gender roles is visualized in the work. 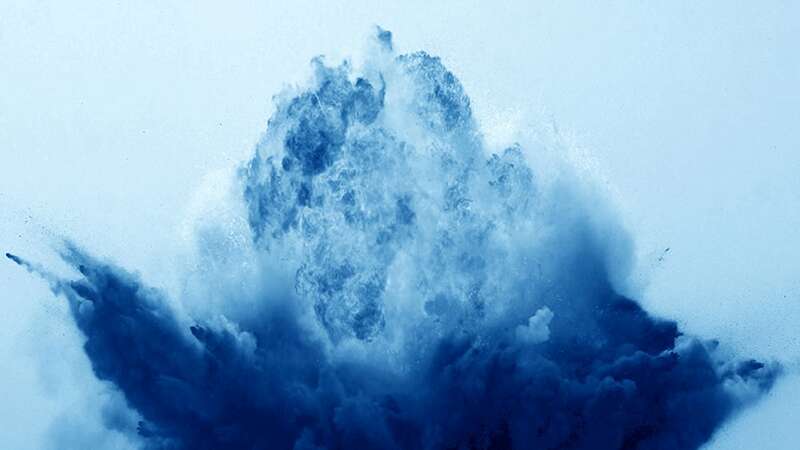 The top part is gracefully uplifiting but it clings to subjugation in the lower half,” Post Vidai’s director adds. Arlette Quynh-Anh Tran in the library at Saigon Domaine where some of the Post Vidai collection is kept. The Post Vidai Collection’s co-founder Olivier Mourgue d’Algue used to live next door to figurative artist Do Quang Em—which kick-started his passion for collecting. So, although there are lots of avant garde conceptual works in the collection, there are also a number of paintings, like these abstract pieces by Nguyễn Trung. 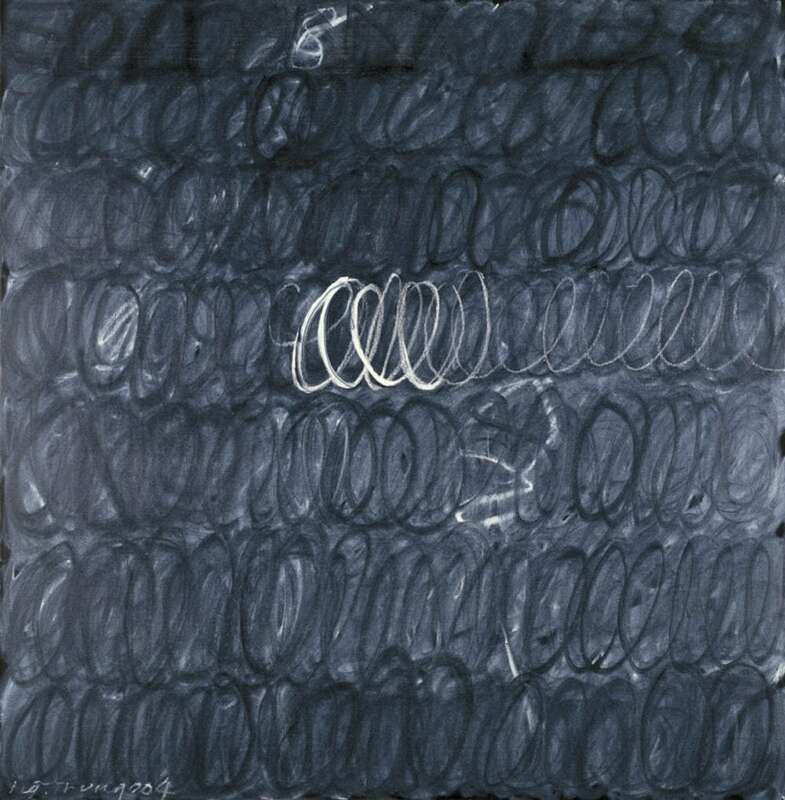 “Blackboard XV” from Nguyễn Trung’s Blackboard series. 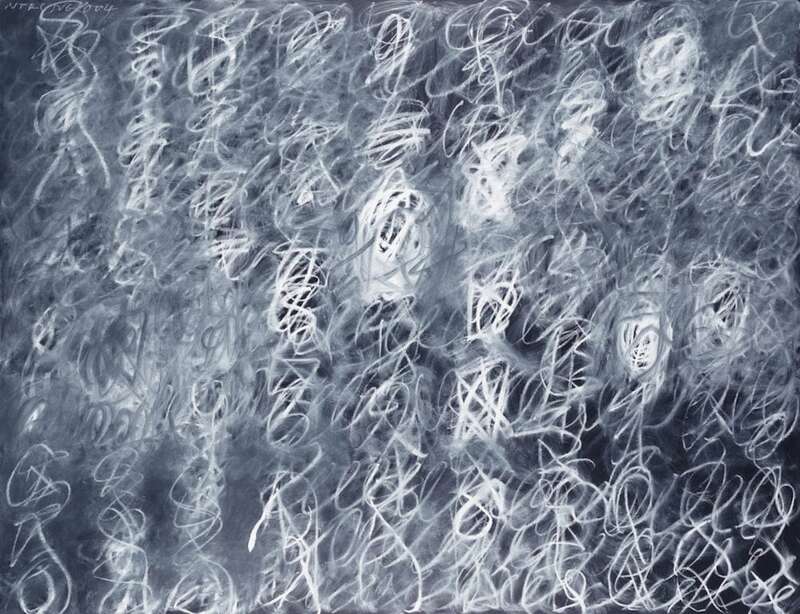 First shown at Galerie Quynh in 2004, works like “Blackboard XV” have vertical lines of written and erased scripts. And the black and white works abandoned Nguyễn Trung’s usual colorful style. “They’re brilliant examples of how abstract painting retains a strong contemporary aesthetic in art here, especially when we consider that abstraction only re-entered Vietnamese art history after a two-decade hiatus in the early 1990s as a way to escape socialist realism,” Arlette explains. And Nguyễn Trung is one of the most influential Vietnamese artists in the genre. “I think the images evoke childhood memories, the way the chalk lines build and then erase figures,” Arlette muses. Sung Tieu’s “Memory Dispute” is a complex installation that includes a metal structure, video, photographs and a lightbox. “Memory Dispute” is, according to Arlette Quynh-Anh Tran, “A complex installation that includes a metal structure, video, photographs and a lightbox that reveal how Sung Tieu contemplates her homeland.” It touches on the effects of acid on the environment, the recent environmental issues in Vietnam, and the skin bleaching beautification of human skin. “The acidification seems endless and morphs into different mediums and scales through time,” Arlette adds. The artwork explores the effects of acid on the environment, the environmental crisis, and the skin bleaching beautification of human skin. “This piece was almost the size of this room,” Arlette says looking around the Saigon Domaine library. 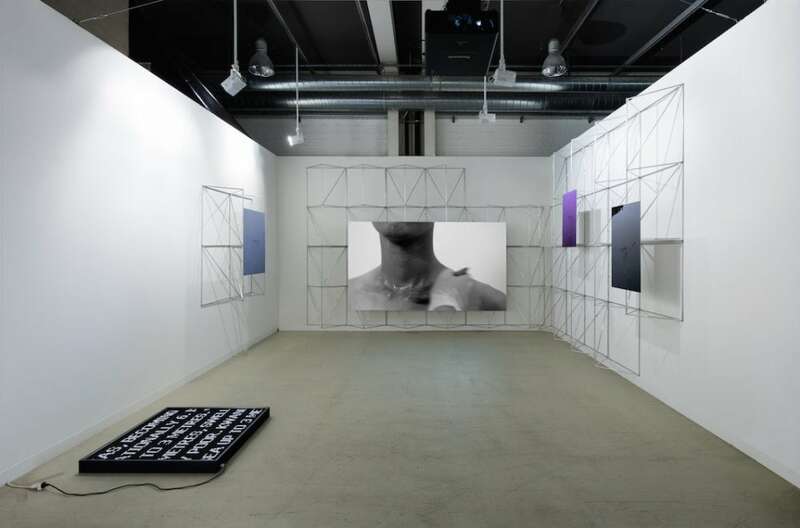 Post Vidai purchased it without attending the show, “and simply shipping it to Geneva was a considerable challenge and expense,” Post Vidai’s director adds. The Propeller Group are Tuan Andrew Nguyen, Phunam Thuc Ha, and Matt Lucero. The collective have created work that blurred the lines between art and advertising. 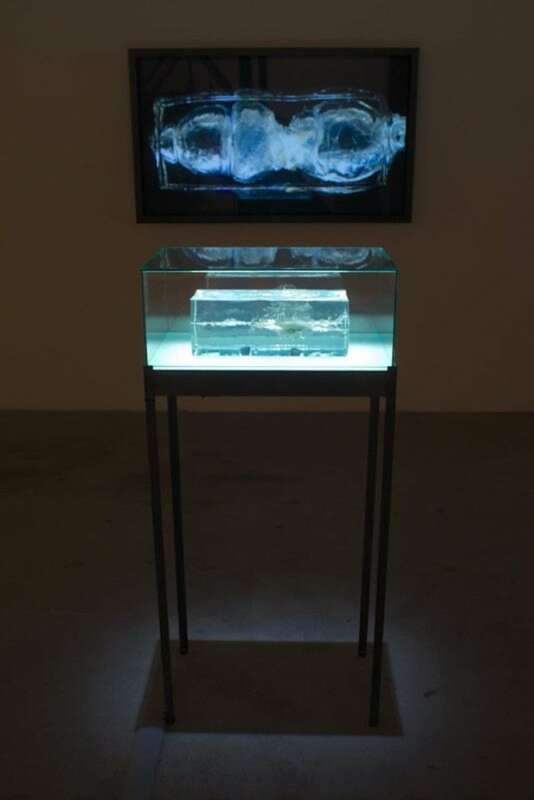 The group’s “AK-47 vs M16” recently featured alongside fourteen other artworks at the Signature Art Prize in Singapore. In fact, the Singapore Art Museum own one of the series of 21 forensic gel blocks, as does the Post Vidai Collection. The blocks capture the moment of impact between a bullet shot by an AK-47 and an M16. 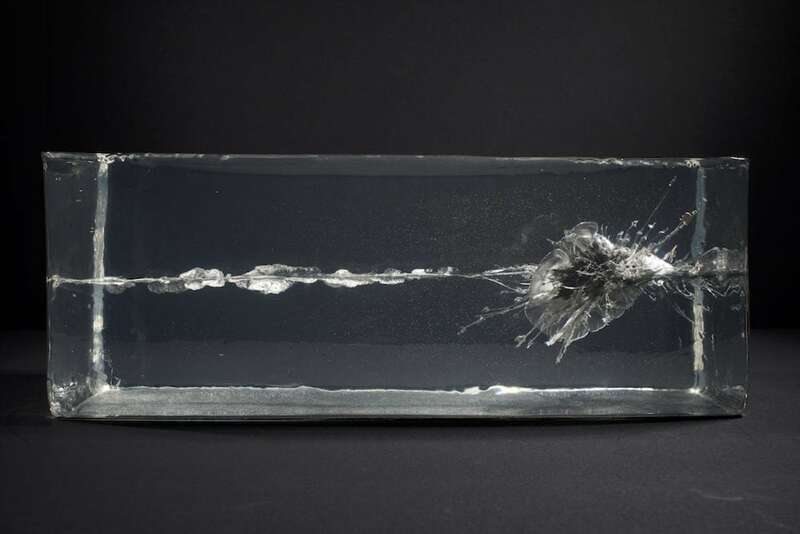 The block captures the moment of impact between a bullet shot by an AK-47 and another from an M16. Here it’s displayed in front of a video that tracks the moment of collision. 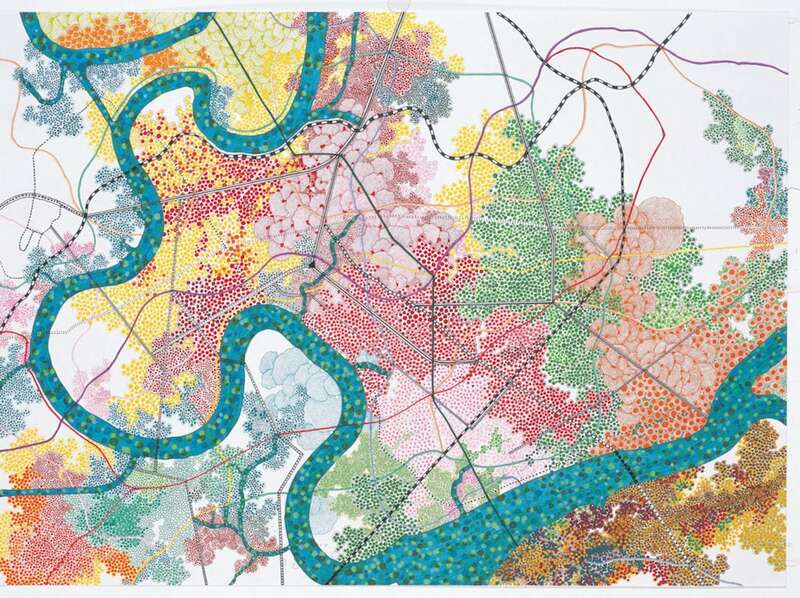 Tiffany Chung’s “10.75¼ N 106.6667¼ E 1867/2007” is a 135cm by 90cm hand-drawn map. The rail and road lines, and the erratic curves of river, create a beautiful abstract image. In Tiffany Chung’s “10.75¼ N 106.6667¼ E 1867/2007” the rail and road lines, and the erratic curves of river, create a beautiful abstract image. In fact, the image is based on the layering of subway maps from Tokyo and Seoul onto an urban planning map for Saigon from 1867—when the city became part of the French-colonial empire. “By uncovering an analogy of imperialism and globalization, this stunning drawing surpasses its aesthetic beauty,” Arlette Quynh-Anh Tran says. Post Vidai’s director also notes the prescient nature of the work. Arlette Quynh-Anh Tran selecting seven key works from the nearly 500 that make up the Post Vidai collection.